G. E. Moore was a central figure in twentieth-century philosophy. 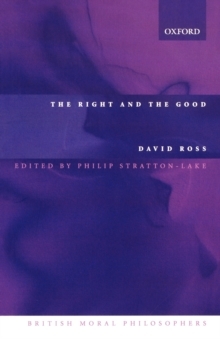 Along with Russell and Wittgenstein, he pioneered analytic philosophy, and his Principia Ethica shaped the contours of twentieth-century ethics. Indeed, until the publication of Rawls's A Theory of Justice, no single book in moral philosophy was to equal Principia's influence. 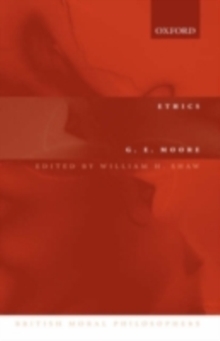 Unfortunately, however, Principia Ethica has so dominated critical discussions of Moore'swork that even experts on his moral philosophy have tended to ignore his Ethics, which he published eight years later. But Ethics is Moore's only other book on moral philosophy, and one of only a handful of post-Principia publications dealing with ethics. 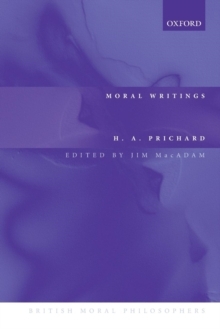 Its detailed discussions of utilitarianism, free will, and the objectivity ofmoral judgements find no real counterpart in Principia while its account of right and wrong and of the nature of intrinsic value deepen our understanding of his moral philosophy. The republication of Ethics thus rounds out our understanding of Moore's ethical thought. But the book's value goes beyond its historical or scholarly interest. 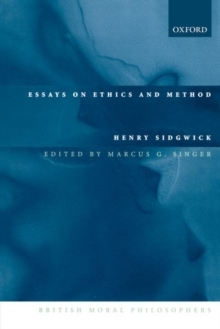 A short but philosophically rich text, Ethics stands independent of Principia and repays careful study in its own right. Byraising a number of fundamental questions in ethics, questions that remain live today, by proffering clear, credible, and often innovative answers to them, and by doing so with a philosophical skill that is still impressive, Moore's short book is a minor classic. Almost a century after its original publication, it still amply rewardsthose who read it. 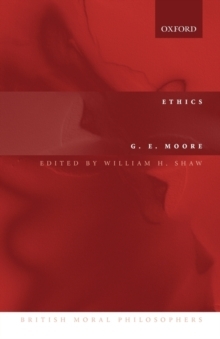 This new edition of Moore's Ethics includes his essay 'The Nature of Moral Philosophy' as well as editorial notes, an introduction, and a guide to further reading.